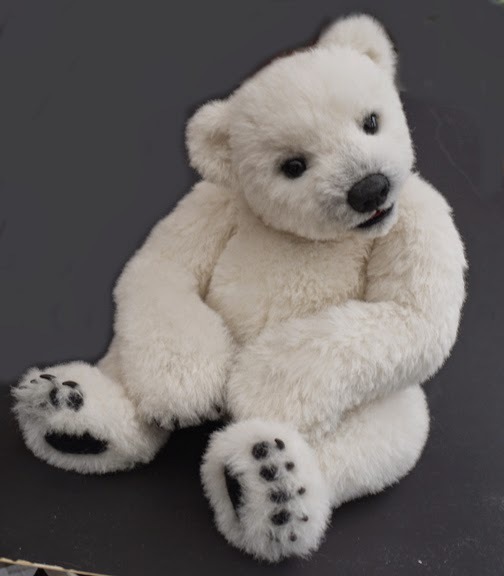 This wonderful bear is 22 inches of wonderful teddy. 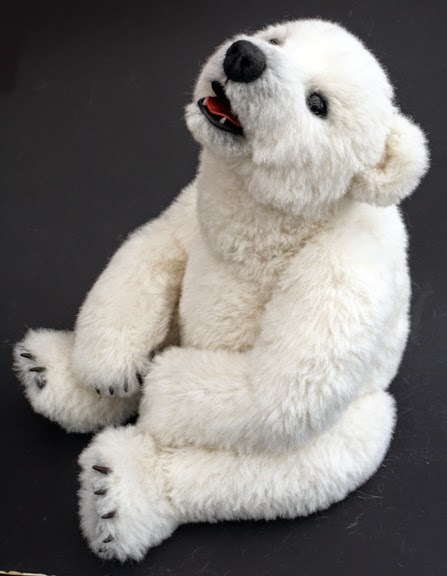 He is made from white, German alpaca. 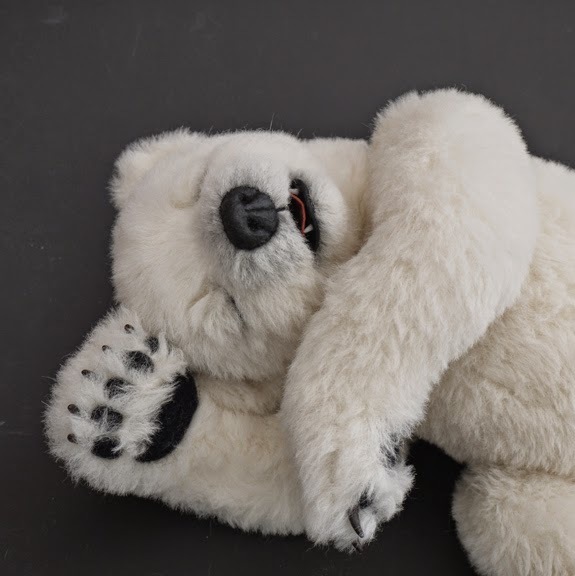 He has 6 joints, including a double neck joint, open and close black glass eyes, open and close mouth including a leather tongue and moulded teeth. His paw pads are needlefelted with moulded claws. His legs and arms are wired, so he can be positioned in a number of poses. 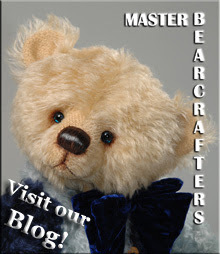 He is a wonderful example of the bear maker's art. He has been carefully looked after by myself in a smoke free home. He was made as a special commission and does not have any accompanying paperwork. 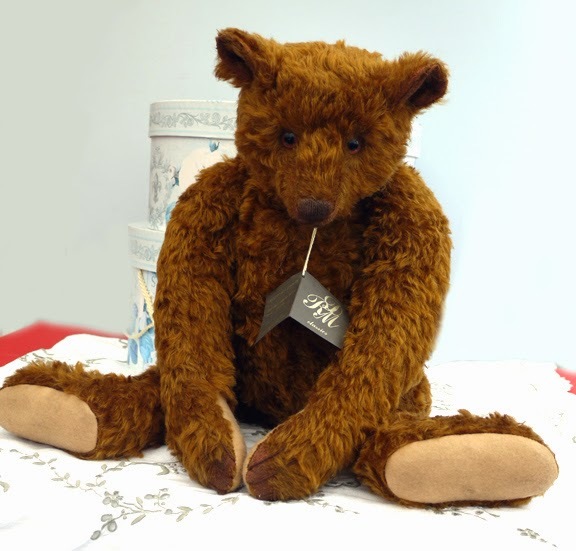 This adorable fellow is 22 inches and made from beautiful, wavy German mohair. He is a real stunner which a lovely expression. He has five joints that all move well. His felt paw pads have been gently aged. He is stuffed with wood wool. He still has his tag with 'Rick 1 of 1' written inside. 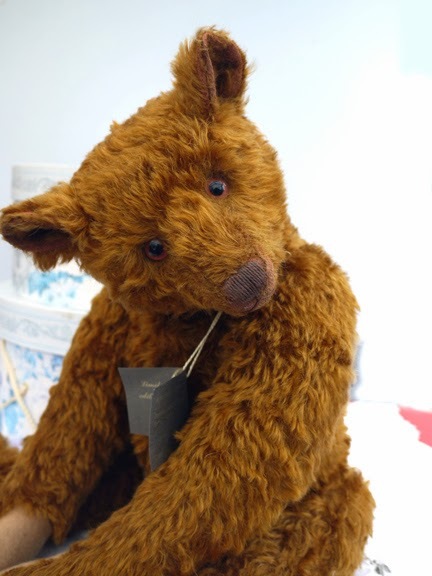 He is a beautiful example of a reproduction style bear. He is in excellent condition and comes from a smoke-free home. £400 including insured Special Delivery to UK addresses only. Payment by Paypal, please.